With the latest advancements in ‘Green Science’ at its core, it is a night crème for accelerated lifting, firming and protective action on skin. 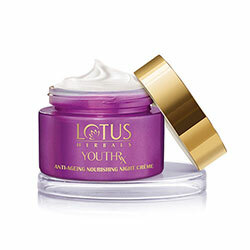 It visibly reduces fine lines and opens pores by nourishing the skin overnight. You wake up to an optimally hydrated and dewy, fresh skin.